‘Tis the start of the season and the Gaslamp Quarter is bringing you all types of jolly with an extravaganza of festivities for all ages to enjoy on Saturday, November 24th on Fifth Avenue between Market & J Street! This event is FREE to attend! Get ready for a one-stop holiday shop as festivities kick off on Small Business Saturday. Grab your shopping list and head to 5th Ave, between Market & J St, that will be lined with a holiday market with 80 different vendors. You definitely don’t want to miss our SPECIAL TREE LIGHTING CEREMONY at 6:30PM! Instead of a traditional Christmas tree, an animated light projection will be projected onto the wall of the Pendry San Diego! This spectacular animation is only on view for this special Kick Off! Other festive light projections will be on view throughout the entire district until the end of December! Does all that shopping leave you hungry? Duck into many of the award-winning bars, restaurants, retailers, and hotels to imbibe in food or drink perfect for the festive occasion. It’s time to toast the holidays and reclaim all that is merry and bright – with plenty of festive cocktails, notable nibbles, and shopping discounts for all (21+)! The Toast of Gaslamp, Saturday, December 8th is pleased to bring you another self-guided walking tour that will have you tasting, toasting, and shopping with 20 sips, 20 bites, and 10 shopping deals that will leave you rosy and ready to carol from 1pm to 5pm. 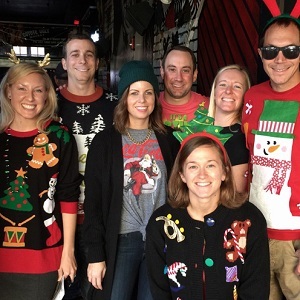 Don your festive attire, round up your friends, and enjoy an event that has become a holiday tradition for many San Diegans – Yule have a blast! Purchase your tickets early for only $25 in advance or $30 the day of the event. Mingle with friends, family, and fellow San Diegan’s as you Toast your way through the historic Gaslamp Quarter. Toast of Gaslamp is the perfect way to spend an afternoon festively feasting as you stroll your way through two dozen of the most delicious Gaslamp Quarter restaurants! 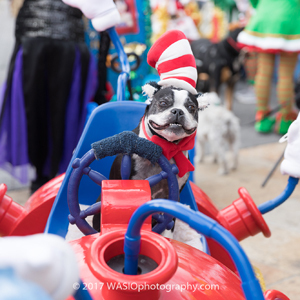 Deck those paws with bells so jolly and jingle all the way through the Gaslamp Quarter for The Vet + Pet West Gaslamp Holiday Pet Parade. Pet owners and their furry, feathered, and scaled companions are invited to don their favorite costumes for this jolly promenade and Holiday Pet Market on Sunday, December 16, 2018, at MLK Promenade Park, adjacent to the Hilton San Diego Gaslamp Quarter (401 K Street, San Diego, CA 92101). Entry to participate in the Pet Parade is just $15 per pet in advance, and $20 on the day of the event. FREE for Spectators! Copyright © 2019 Gaslamp Quarter Association | 614 5th Avenue, Suite E, San Diego, CA 92101 | All Rights Reserved. The official website for the historic San Diego Gaslamp Quarter, featuring shopping, dining, nightlife, and events.